One of the leading brands in PC custom liquid cooling, EK Water Blocks, has announced a dedicated EK-Annihilator EX/EP Square water block that is specifically developed for LGA 3647 (Socket P) Intel processors. 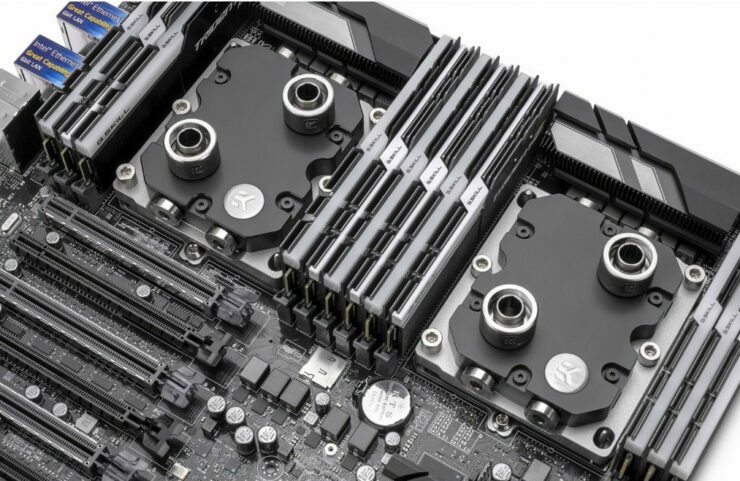 EK has said that the entire CPU block was designed from the ground up to fit the requirements of the new socket and to integrate multiple connectivity options for server rack requirements. With that said, the new server-grade CPU block is 1U chassis type compatible for use server and workstation type motherboards. 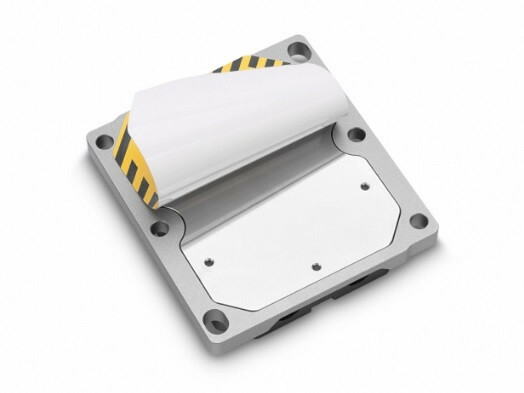 With Intel releasing the new generation of Xeon Scalable Family processors for a large LGA3647-0 socket (socket P0), came the need for a water block with a larger cold plate contact surface. The goal in designing of the new EK-Annihilator EX/EP CPU water block was to cover the entire IHS of Intel processors. An additional task was to make the new CPU block server ready with multiple connectivity options. The EK-Annihilator EX/EP water block features a total of 6 ports, which allow for versatile connectivity options. Two top ports are standard G1/4″ threaded, while the side ports are G1/8″ threaded. 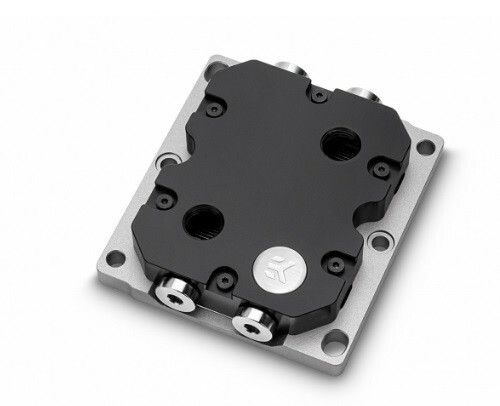 EK-Annihilator EX/Waterblock features A EP water block features a precisely machined copper base (sometimes referred to as ‘cold plate’) which is made from purest copper available on the market and is treated with nickel electroplating. 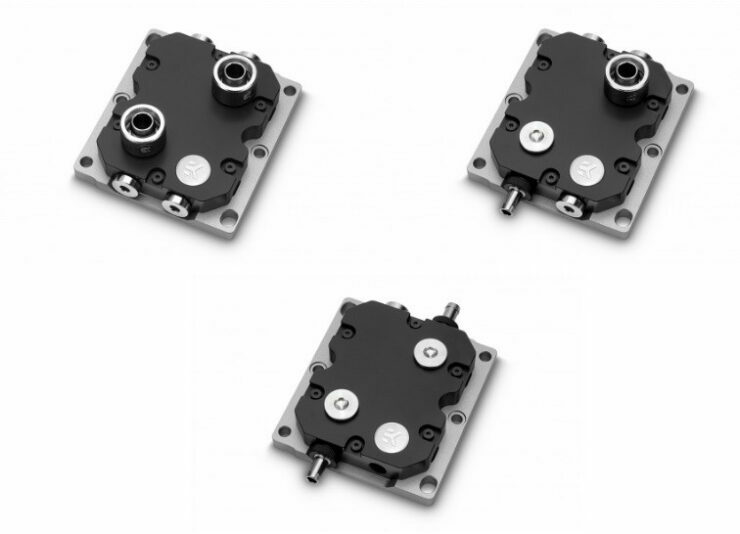 The top is made from CNC machined from durable black POM Acetal and the CPU square ILM hold-down bracket is CNC machined from a thick piece of aluminum.